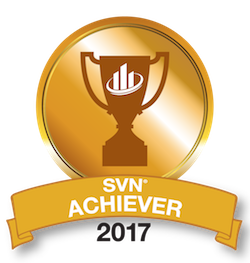 SVN | First Place Commercial Realty, is a full service commercial real estate brokerage firm. We provide commercial real estate services to large corporations, middle market businesses and individual entrepreneurial investors. Serving the greater Ohio, we offer advisory services for the sales, leasing, and management of commercial properties locally, regionally and nationally. Our Advisors provide creative solutions in order to help you achieve your goal. The Advisors at SVN | First Place Commercial Realty have a deep understanding and vast experience with a wide variety of aspects of all investment real estate. Our specialized teams can provide competent guidance to you, your clients or your investors. We have brokered, consulted, managed and provided a wide variety of real estate services across the country. In 1987, frustrated with the way the industry handled clients and transactions, the founders of SVN did something about it. They pioneered a better way of handling real estate transactions that put the client’s interests first. Their mission? Create unprecedented value for SVN® Advisors and their clients. Today, SVN is growing national with a revolutionary business proposition: Compensated Cooperation. Why do we do this? Because it’s the right thing to do for clients.